Is worth its weight in gold, I grant it. 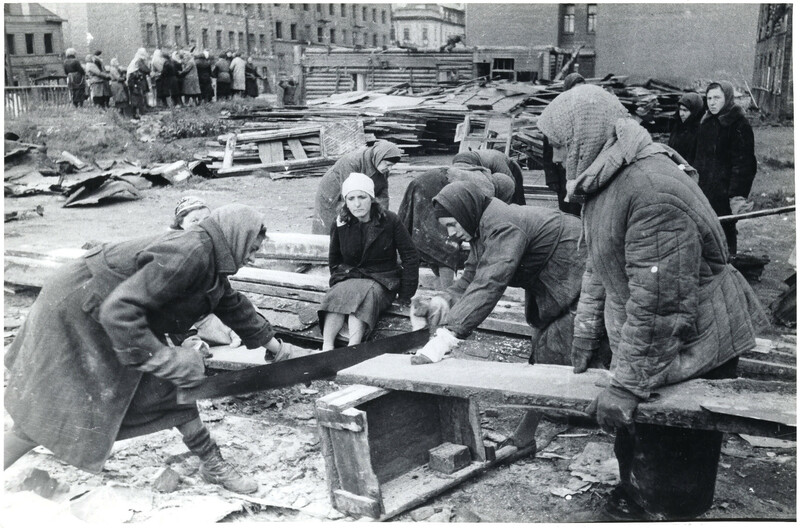 77 years ago, on September 8th, 1941, the siege of Leningrad began. This was and still is one of the most horrible and yet heroic episodes in human history in which more than one million people died. In this feature, we look back on those events and show you some rare historic photographs of that time. 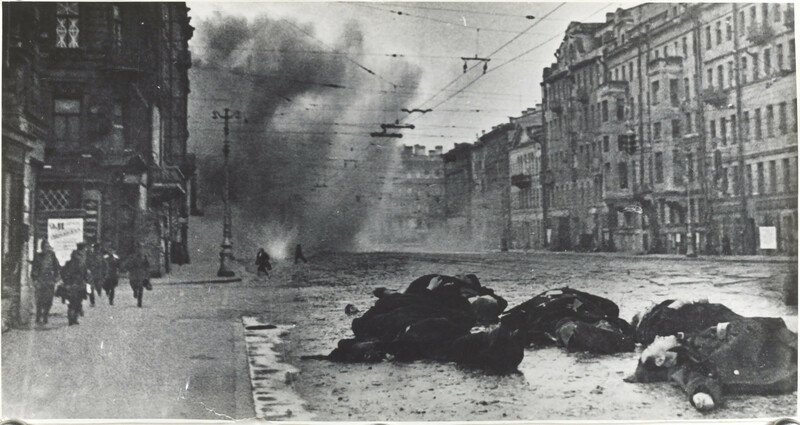 The siege of Leningrad began on September 4th 1941 when the German army began to shell the city now known as St. Petersburg. 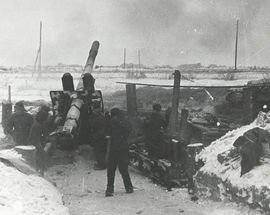 Four days later the last land connection to the outside world was severed when German troops took Lake Ladoga (to the east of the city). On September 12th, provisions were calculated as being grain and flour for 35 days, meat for 33 days, fats for 45 days, and sugar for 60 days. 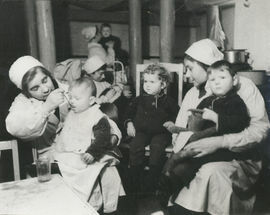 Rations were introduced. 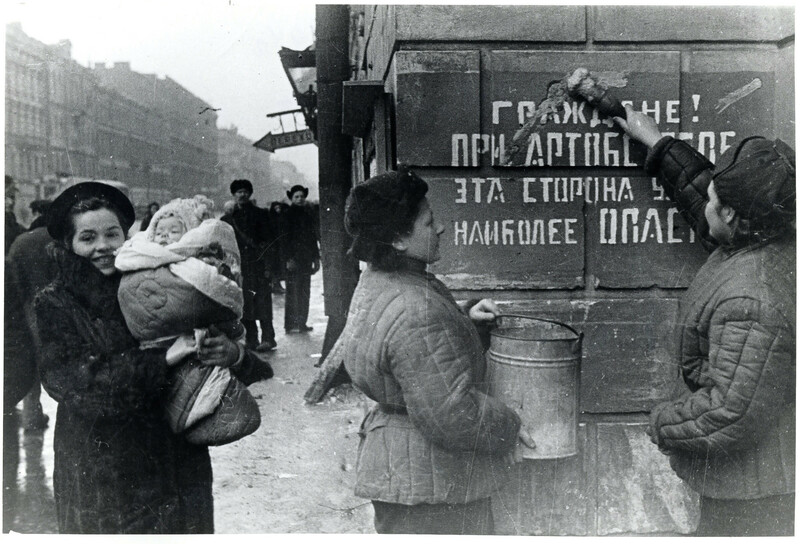 By November 20th the rations were just 250 grams of bread for blue-collar workers and 125 grams for children under 12, white-collar workers and the unemployed. Citizens supplemented their diet by boiling up wallpaper and leather into soups and by making bread from sawdust and cardboard. By December death from hunger was rampant and people simply fainted and died in the streets and were dragged away by those strong enough to help or simply left where they lay. Then came the first winter, which was one of the most ferocious in memory. 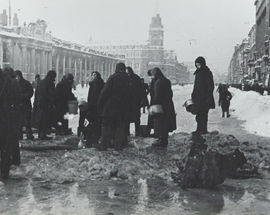 Fuel supplies began to run out and those who were not defeated by hunger succumbed to the cold. 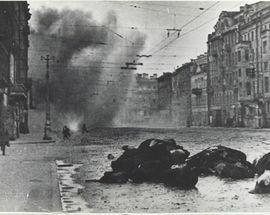 In January 1942 it is estimated that 4,000 people a day died in the city and by spring the death toll was already in the hundreds of thousands. 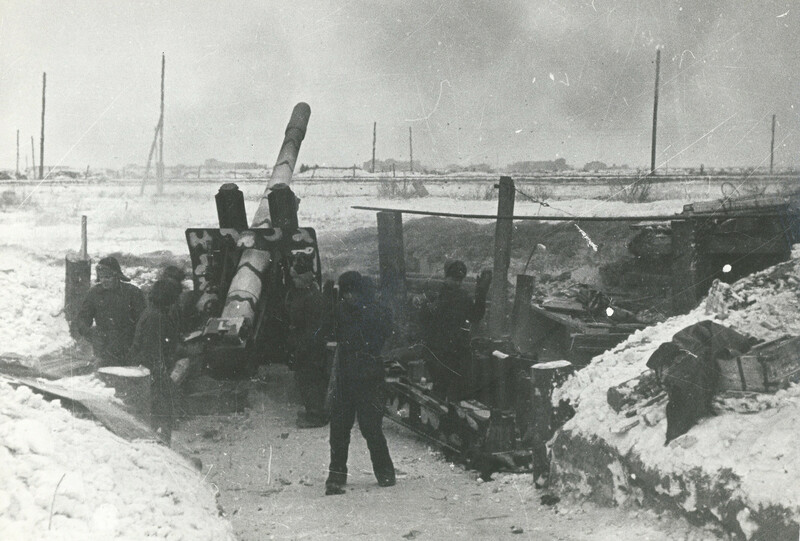 In a miraculous feat of heroism, the defenders of the city managed to open up a ‘road of life’ across the frozen Lake Ladoga in early 1942 and fuel, food, medicine and ammunition arrived to aid the stricken city. In May all those who were able, came out to clean the streets and attempt to bring back some humanity to the desolate city. 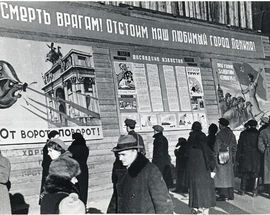 Trams began to run and in the basement of the enormous Kirov factory in the south west of the city, literary recitals were organised. 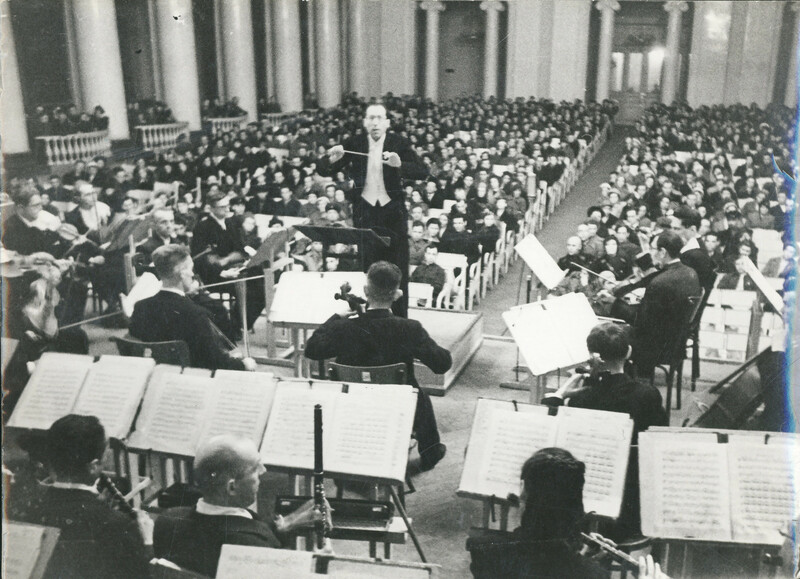 On August 9th (the day Hitler had predicted the city would fall) a group of starving musicians from the Leningrad symphony orchestra lifted their instruments to play a concert. 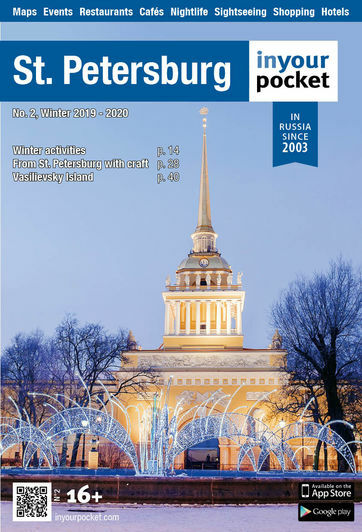 Written by Dmitri Shostakovich, the 7th Leningrad symphony was then broadcast around the city on loudspeakers and by radio to the rest of Russia, as a rallying patriotic cry to the nation from the people of Leningrad. Outside St. Petersburg many of the city’s imperial masterpieces such as the amber room of the palace at Tsarskoe selo and the palace at Pavlovsk were destroyed during the fighting or vandalised by German troops, only to be painstakingly restored in the years following the war. In an incredible act of foresight many sculptural masterpieces and artworks, such as the fountains at Peterhof, were sent to Siberia for safe-keeping or buried in steel boxes deep underground. Local landmarks such as the Soviet battleship Avrora, which fired the first shots of the revolution was famously sunk and Peter the Great’s Log Cabin, was camouflaged so as not to become a bombing targets. Much of the Hermitage’s priceless art collection was hidden safely away and many rooms of the grand winter palace became part of a makeshift hospital. 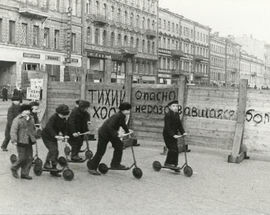 After three years of isolation the red army finally broke through the blockade on January 18th 1943, although it was another year before the Germans were forced to fully retreat. 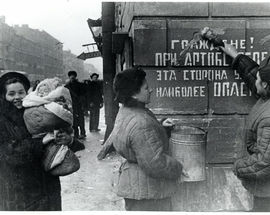 It is thought that almost a million people died during the blockade - most of them from starvation. 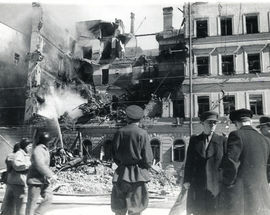 Though many of the city’s priceless artworks were saved, much of the city was in ruins due to bombings. 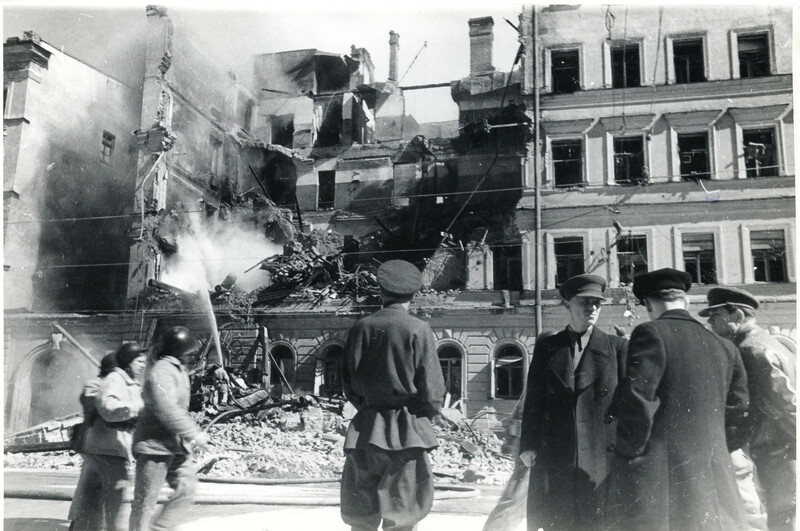 Undeterred by the hardships and horrors that they had suffered, the proud heroic survivors of the city eventually went on to rebuild their magnificent city. There are uncountable numbers of famous and unknown heroic stories from the blockade. 15,000 children alone were decorated for their bravery in putting out firebombs and fighting on the front lines. 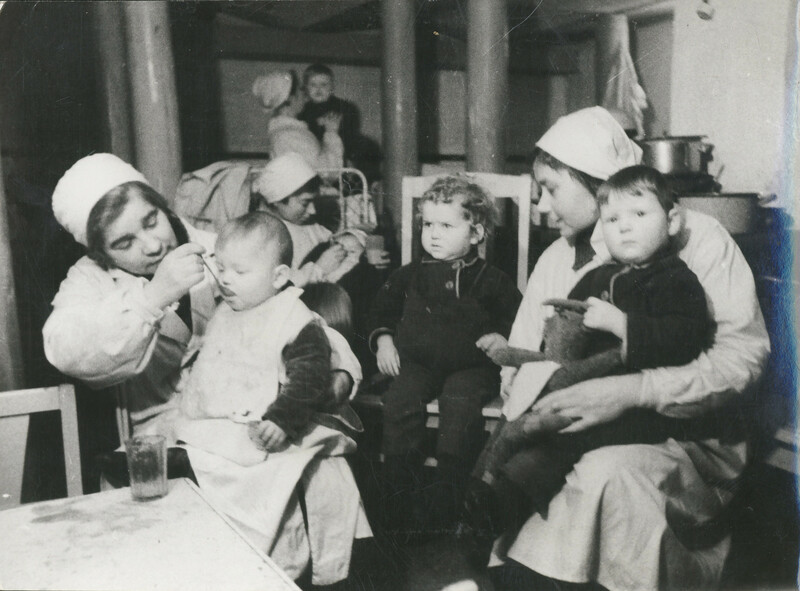 From around 30,000 doctors and 100,000 nurses in pre-war Leningrad more than half died during the siege. 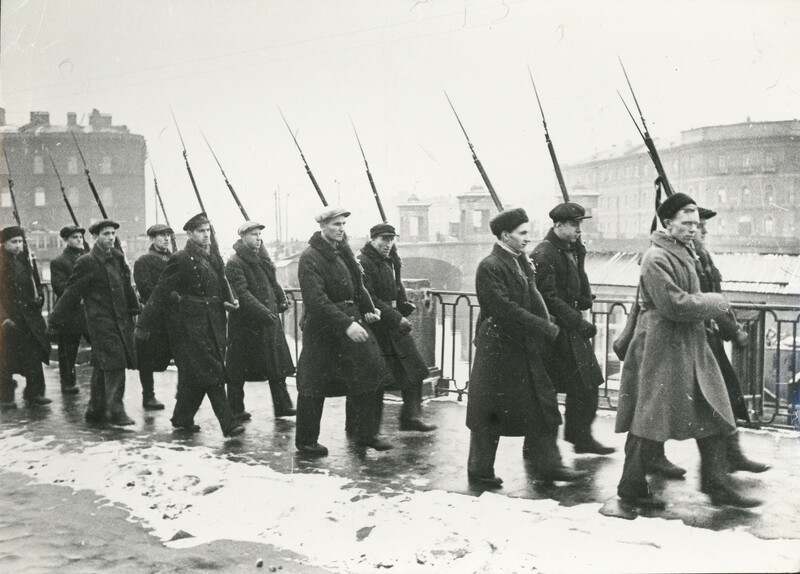 Of the 700,000 people left in the city in 1944, 300,000 of them were soldiers who had arrived from across Russia to help defend the city. 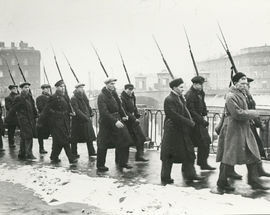 Many citizens were awarded the defender of the city medal or survivor of the siege medal and the order of Lenin. Here is just a tiny pick of some of the many names and stories. Tanya Savicheva was a young Russian diarist who lived through the siege. Aged just 11 when the siege started Tanya joined her family in helping the war effort by digging trenches and putting out firebombs. After having burnt her own diary to heat their home, on December 28th 1941 Tanya was given her missing-presumed-dead sister’s diary. In it she began to record her family’s toil. 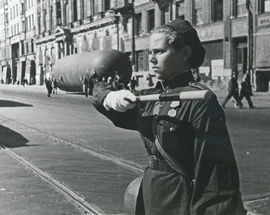 Everyday her mother would walk seven kilometres to work in an ammunitions plant, then donate blood before returning home. Every month of the diary holds a death, first was her second sister, then grandmother in January 1942, a brother 2 months later, followed by her uncles and then in May 1942 her mother. As an orphan Tanya was evacuated from the city in August 1942 to a village but died of illness in July 1944. 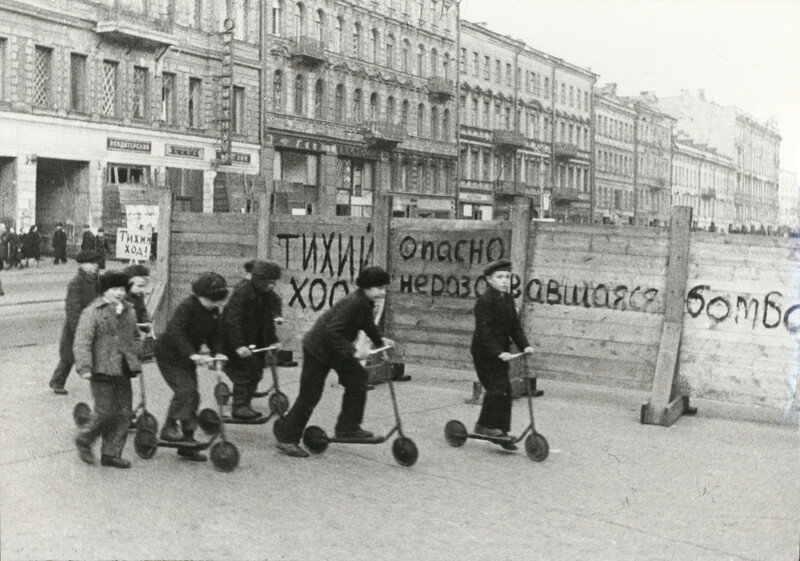 Her heartbreaking diaries can be seen at the Rumyantsev museum. Born in St. Petersburg, Berggolts began her career as a journalist before beginning to put her thoughts into poetry. Like many fellow poets such as Anna Akhmatova, Berggolts was also a victim of the purge and was imprisoned and cruelly beaten for 7 months in 1939 because of her works. 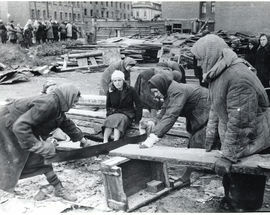 On her release she went to work for the Leningrad radio station and remained their throughout the siege. She became famous and loved for her inspirational poetry and speeches which she read over the radio to the hungry citizens of the city. 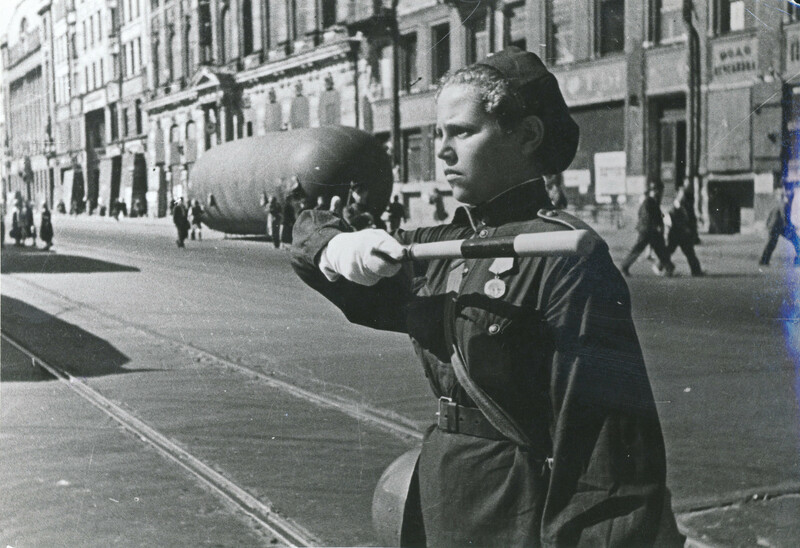 Following the war she was decorated for her courage and morale during the siege and received the order of Lenin. Before moving to Moscow in 1940 Boris Babochkin was one of the most prominent actors working in Leningrad. 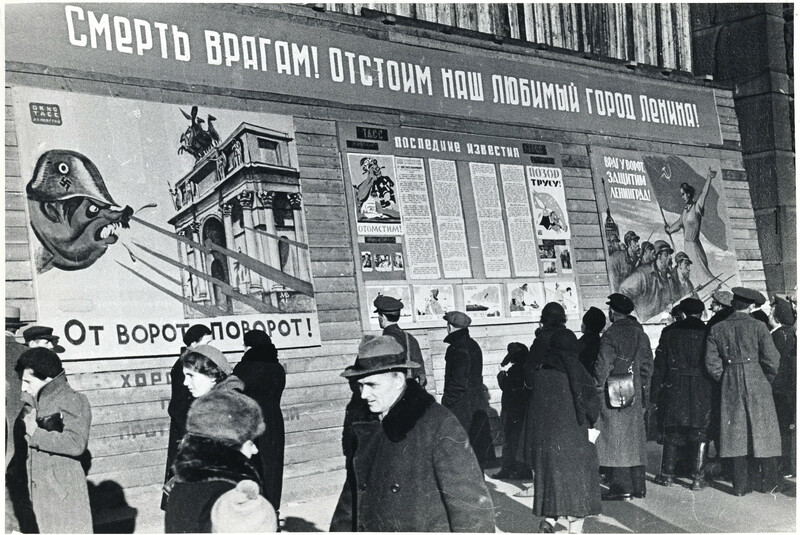 Throughout the siege he made several visits to the city to lift the spirits of the city’s defenders through performances and delivered numerous copies of the popular war film Chapaev in which he played the star role. 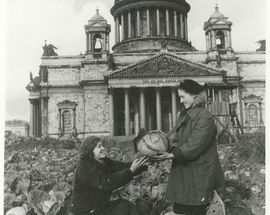 After the war Babochkin played the role of a corrupt bureaucrat in the play Shadows and was denounced by the Soviet minister of Culture. Following this character assassination he remained practically unemployed for years, finding only roles in highly propagandist films. Nikolai Vavilov was a celebrated Soviet botanist and geneticist. 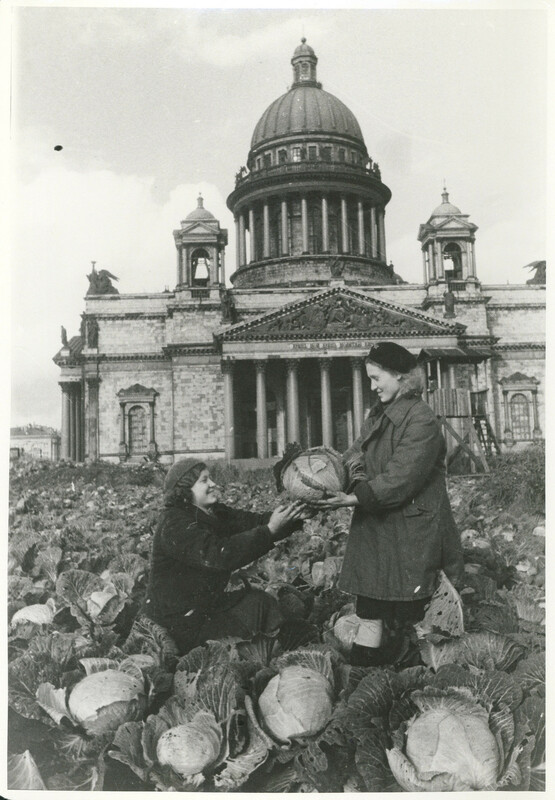 Over the years he organised various different expeditions to collect seeds for cultivation and created the worlds largest seed bank in Leningrad to house them. During the terrible starvation of the siege, Vavilov diligently protected his seed bank so that future survivors would be able to grow food. One of his assistants even died of starvation in the seed bank surrounded by 200,000 types of plant seed, most of them edible. 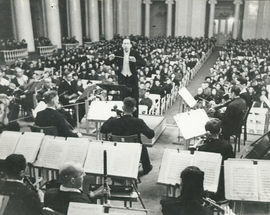 He received the order of Lenin in 1945 and a song ‘When the war came’ was dedicated to him. As you enter St. Petersburg on the way from the airport you’ll be reminded by a huge sign that this is a gorod geroi (hero city). Across the city and its outskirts there are many museums and monuments devoted to the Blockade.